By becoming members of Tai Pawb, our members have expressed a commitment to equality and diversity. The Welsh Housing sector offers fantastic opportunities for everyone with a variety of career options. Having become the first employee and tenant mutual in Wales there could not be a more exciting time to join Merthyr Valleys Homes. 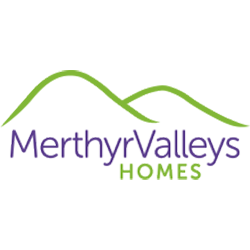 Merthyr Valleys Homes is a Registered Social Landlord committed to providing an excellent level of customer service to our tenants. We are looking to recruit a Community Living Schemes Officer to work within our busy Community and Neighbourhood Services department. The post will be responsible for the day to day running of community living schemes including cleaning of communal areas and health and safety checks. They will undertake minor repairs, providing a first line support service and Co-ordinating community events. The successful candidate will need experience in providing support to vulnerable people as well as experience of referring to and liaising with external agencies associated with the support of vulnerable adults. The closing date for applications will be Tuesday 7th May 2019 at 2:00pm. Please email info@taipawb.org if you would like your vacancies advertised here.